I’ve spent my adult life trying to serve the Republican Party and fighting to advance conservative principles. That’s why it irks me to hear how well Donald Trump is predicted to perform in primaries in Georgia and across many great states. I certainly understand the widespread disdain for Washington—the system is obviously not serving the working people of America. But electing a wildcard like Donald Trump President is not the answer. The past eight years have shown us what a disaster anunknown in the White House will get us. We need a consistent conservative leader, now more than ever, who we can trust to right the course of the country. Donald Trump is far from consistent. And, while pleasantly candid and entertaining at first glance, some of Trump’s recent comments should have all conservatives skeptical of his values and worried as I am that, as our party’s nominee, he will hand the White House to Hillary Clinton. Donald Trump refused to condemn the Ku Klux Klan. Donald Trump said he is “very pro-choice” and does not oppose partial birth abortion. Donald Trump said if he is president, “the government’s gonna pay for it,” talking about universal healthcare. Donald Trump supported a ban on firearms. Donald Trump was a registered Democrat from 2001 to 2008. Donald Trump has donated more than $50,000 to the members of the Gang of Eight, who authored the amnesty bill. In 2008, Donald Trump donated $25,000 to the Senate Democrats’ fund. Why does this donation stand out among the $580,000 Trump has given to Democrats? Because 2008 was the year that the Democrats won the supermajority in the Senate that allowed them to force Obamacare on the American people. Listen. These are not minor or ancient differences of opinion. These are major, core, front-and-center conservative values that Donald Trump disagrees with— now or throughout his adult life, only recently changing his public opinion in deciding to run for president. Donald Trump is a bad nominee to face Hillary Clinton. He has supported her personally and supported her core policies. He has no platform to argue with her on healthcare, because he agrees with her on healthcare. He concedes the need for gun control. He concedes that partial birth abortion is acceptable. He’s given HUGE sums of money to her personally and to her allies. At the moment, this debate is a family dispute. It might seem like tough hard-knocks right now. But this Republican Primary is nothing compared to what the Democrats and the liberal national media are going to dig up on Donald Trump in November. Trump is the out-of-town cousin at the family wedding. He’s fun. He’s daring. He’s attractive for the moment. But like an irresponsible party boy, do you want him driving home at the end of the night? As you watch him on stage waving his finger, is this the same finger that will hover over a nuclear missile’s trigger? Is this the same man who will appoint three lifelong Supreme Court justices? Is this the commander-in-chief who will send our sons and daughters into war? We all have frustration with the status quo. But instead of gambling with the Johnny-come-lately to the cause, why not back the person we know will act in a way that will turn this country around? Ted Cruz has done it. We’ve seen him buck the leadership in both parties to take on the causes that we all believe in, and that Donald Trump has only recently decided to take note of. Cruz defended the 2nd Amendment in front of the Supreme Court and in the US Senate. Cruz led the charge to defund Planned Parenthood when other Republicans shied away. Cruz killed the amnesty bill. Cruz stood on the Senate floor for 21 hours fighting to repeal Obamacare while other Republicans sat by and took the easy way out. Ted Cruz is the only consistent conservative in this race. Perhaps just as importantly—because 3 in 4 Cruz supporters choose Donald Trump as their second choice, not Marco Rubio—Ted Cruz is mathematically and simply the only candidate who can defeat Donald Trump and lead our party to save our country. 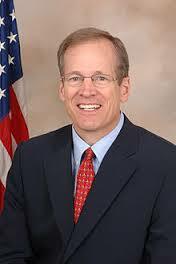 Jack Kingston is a former Republican Congressman from Savannah, Georgia, and current supporter of Ted Cruz for President.